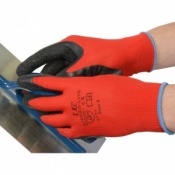 The MCR Safety GP1002PV PVC Dotted General Purpose Safety Gloves provide a fantastic level of grip in dry conditions, great for manufacturing and construction industries. Their lightweight design and great fit makes them incredibly comfortable and easy to wear. 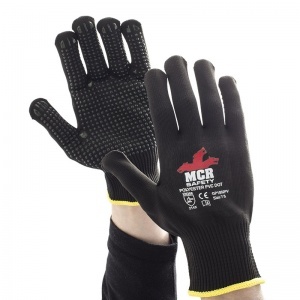 To ensure your hands are as comfortable as possible while you work, the MCR Safety GP1002PV gloves have been developed to provide an incredible fit, helping you to work more easily. On top of this, the gloves also feature a lightweight design thanks to their polyester material, helping your hands to move more freely. 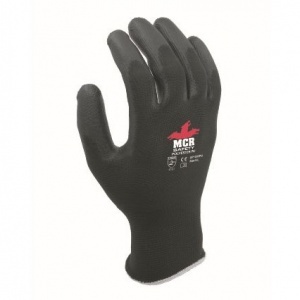 The PVC dot coating on the MCR Safety GP1002PV gloves provides an exceptional level of grip in dry conditions, helping you to easily carry awkward objects which can be difficult to keep hold of. 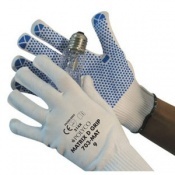 The MCR PVC Dotted Safety Gloves are available in four sizes that should be suitable for most users. To find your perfect pair, please measure the circumference and length of your palm and match the results to the table below. Superb! I work as a delivery driver and have been buying gloves from garden centres to protect my hands but they wore out on a daily basis. 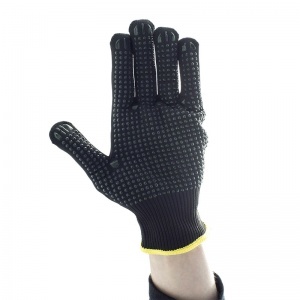 Found this site and I now have 12 pairs of pvc dotted safety gloves that protect the hands but are flexible enough to allow me to keep them on all day. The first pair are still going strong after 4 weeks.